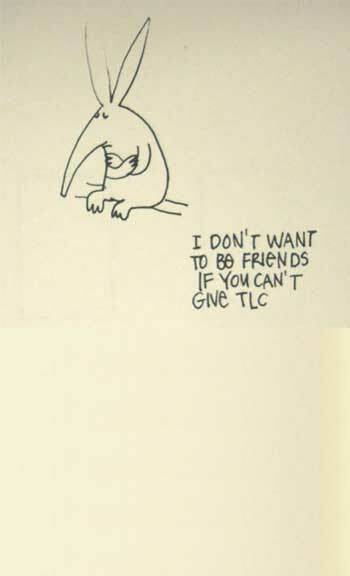 Yes, please give my ant-eater a lot of TLC. I really love the dude. He’s getting it all, from the visitors. anteaters don’t drink…they eat ANTS! !